Smoking moldy cannabis is not good for medical consumers, but even healthy individuals may experience some side effects. Here’s what they are. Recently, molds and the toxins they produce are gaining more attention in medical communities. Any moist environment can be a breeding ground for harmful bacteria and fungus. Dense cannabis flowers make the perfect hiding place for molds and mildew, especially if the bud has gotten a little wet or damp. Inhaling this mold directly into the lungs can cause health problems for just about anyone, but may be particularly troubling for medical cannabis patients. There are a few reasons why smoking moldy weed can cause negative health effects for just about anyone. Mold spores can survive in surprisingly harsh environmental conditions, including being burned, only to take up residence inside the warm and damp environment inside the human body. If your immune system isn’t up for the match, this can cause lung infection. Moldy weed can also make you sick thanks to compounds called mycotoxins and endotoxins. Mycotoxins are compounds that sit on the outside of mold spores and in small fragments of mold. They’re referred to as toxins because they are harmful to the human body, and can trigger irritation and illness. This is especially true if you’re exposed to them consistently and in large amounts. Coupled with these mycotoxins are compounds known as endotoxins. Endotoxins are molecules released by bacteria as they die. Typically, molds and endotoxins go hand-in-hand, making exposure especially agitating. Endotoxins by themselves are known to worsen symptoms of asthma and contribute to lung irritation. Inhaling a batch of mycotoxins and endotoxins together can cause inflammation. Chronic exposure to pro-inflammatory molds and mildews can aggravate autoimmune conditions and increase your chances of developing an infection. What kinds of molds are in cannabis? 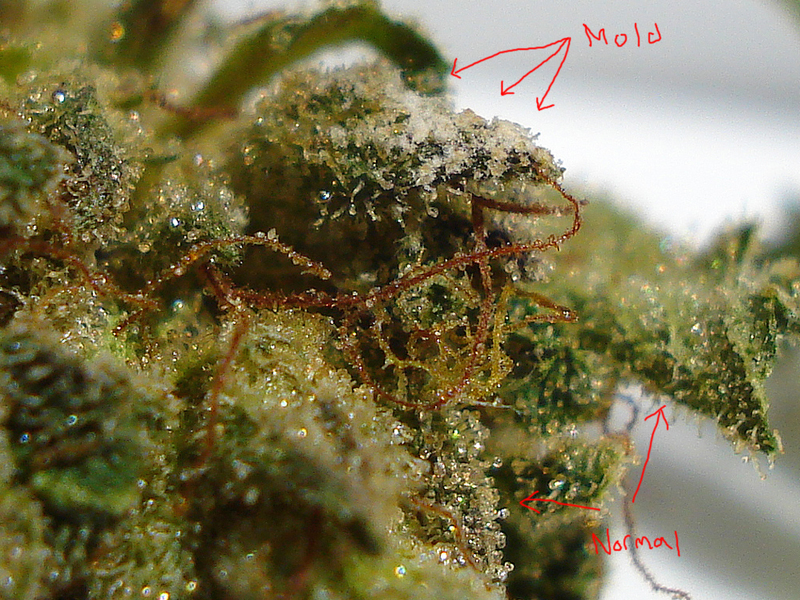 There are many different molds and mildews that can affect the cannabis plant. 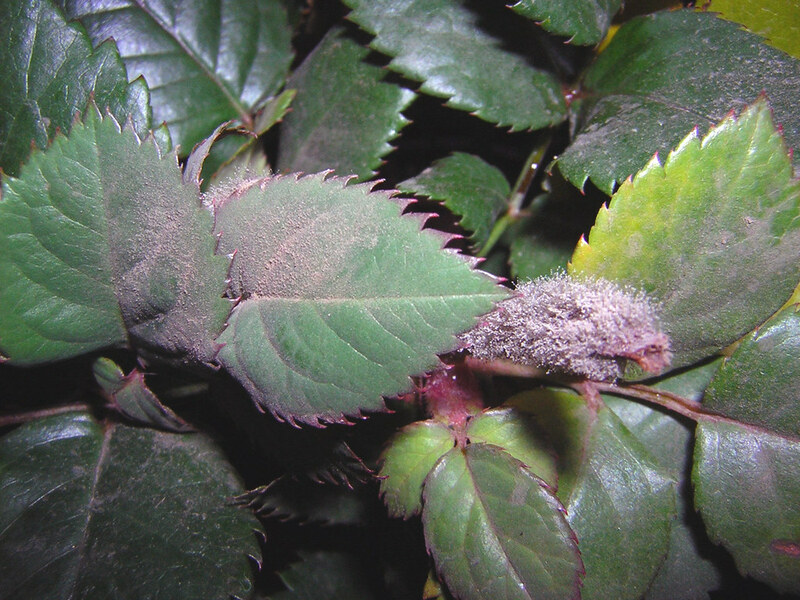 Many molds and mildews vary by region, so there are many different possibilities for both plant and human infection. Aspergillus is a fungus that produces mycotoxins, including some that are thought to be carcinogenic. This mold can cause lung infections, which can be quite serious for those with compromised immune systems. Back in 2011, there were two case studies of medical cannabis consumers who developed a condition called chronic pulmonary aspergillosis (CPA) after suspected exposure to cannabis that was infected with Aspergillus. The condition caused symptoms of emphysema and improved after patients were treated for Aspergillus infection and refrained from cannabis consumption. Cladosporium is a common plant fungus that often grows on porous materials like wood and paper. It causes symptoms of hay fever and can trigger asthma attacks, though this type of mold does not produce mycotoxins. With chronic exposure, inhaling Cladosporium increases your chances of developing pneumonia. 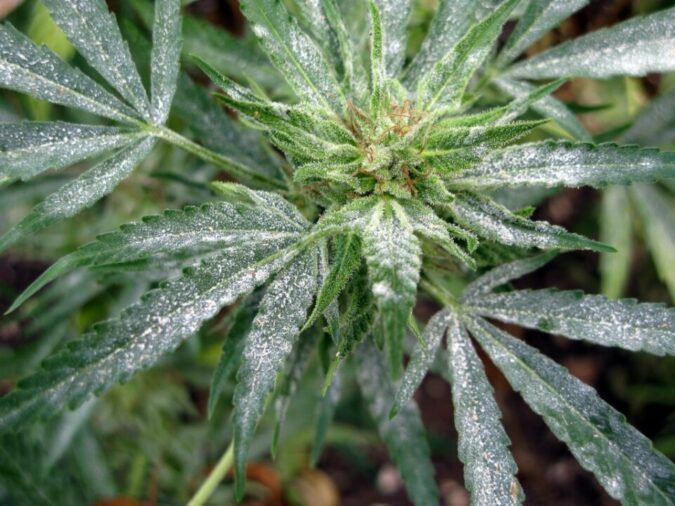 Botrytis is the fancy name for gray mold, and it’s one of the most common cannabis pathogens. When inhaled, this fungus can cause an allergic reaction and acute respiratory problems. These problems may be worse in those who have weakened immune systems, are prone to autoimmune diseases, or are generally sensitive to environmental allergens. For more information on how to spot moldy cannabis, check out the full article. For information on how to prevent mold while growing, take a look at this article.